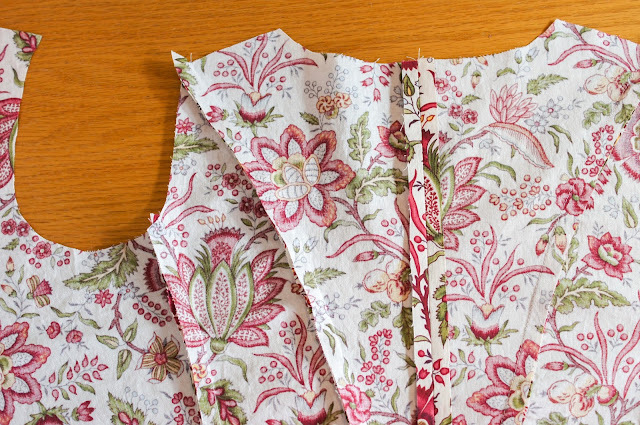 Today's post is about the making of the bodice of my 1770's Robe a la Polonaise. 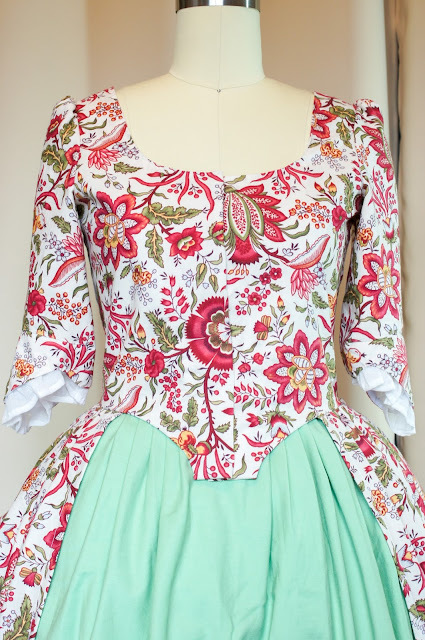 In general, 18th century dresses had much more simple bodice shapes, which makes construction a little more simple and the actual construction of this dress went pretty quick. I'd like to note that I did not take a historical approach to sewing this dress. This was partially due to lack of knowledge as well as lack of time. 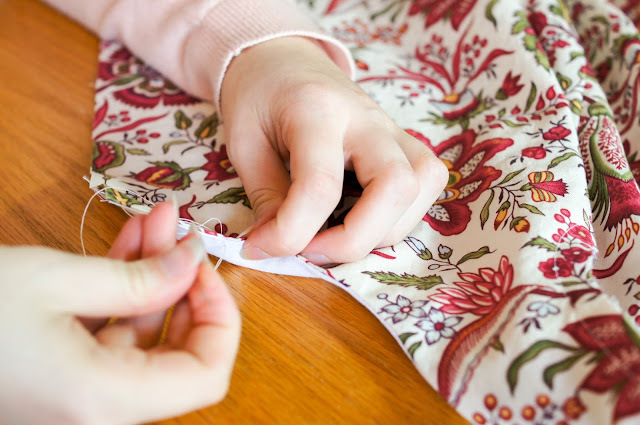 The majority of the dress is machine sewn but in order to make it look a little more authentic I chose to top stitch most of the seams by hand. 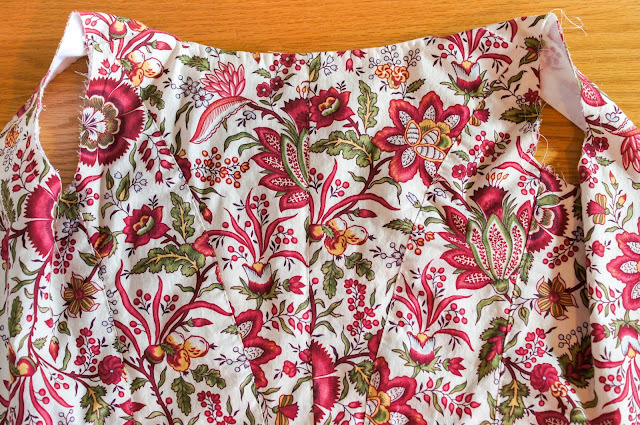 I draped the pattern for this dress myself, based off of a pattern from Janet Arnold's Patterns of Fashion 1: Englishwomen's Dresses and Their Construction C. 1660-1860. Below is the final mock up. 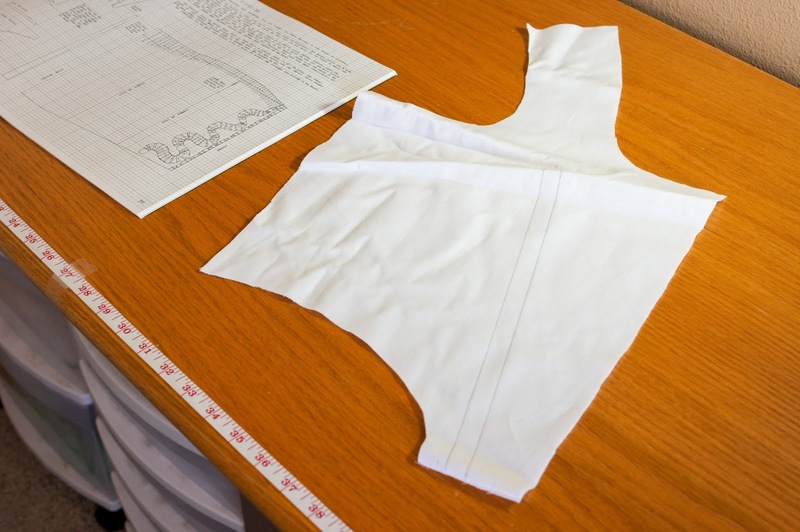 After I was satisfied with the mock up I patterned it and was ready to get started on the real thing. The fabric I used was this wonderful reproduction cotton print from Colonial Williamsburg, which I bought online. 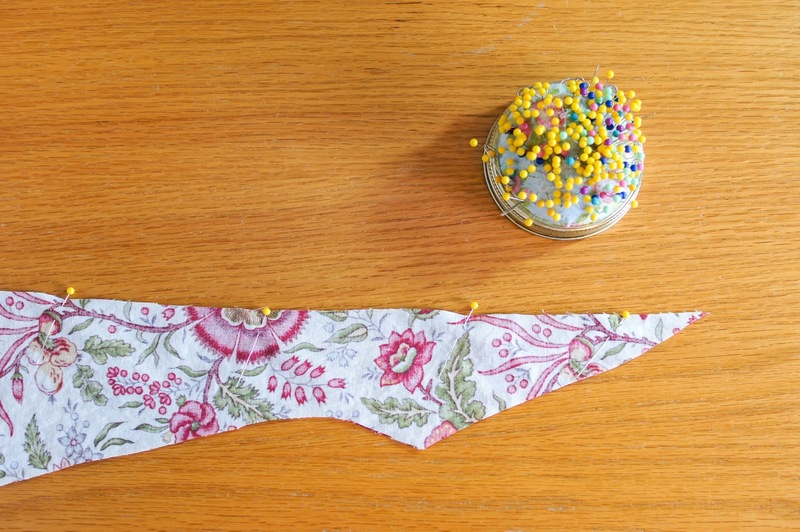 I purchased 5 yards and used up all of it. 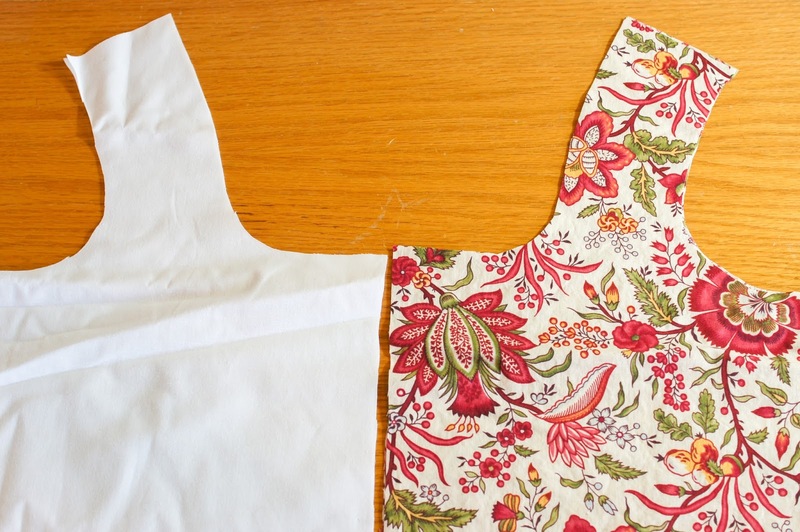 I cut out all the pattern pieces from my fashion fabric as well as my lining fabric, which was a basic cotton muslin. After the pieces were cut I drew the boning channels onto the muslin/lining. There was two on the front bodice piece and one on each of the other two bodice pieces on the side seams. For the boning channels near the seams, I made sure to mark them 5/8" away from the edge so there would be enough room for my 1/2" seam allowance and a little extra. 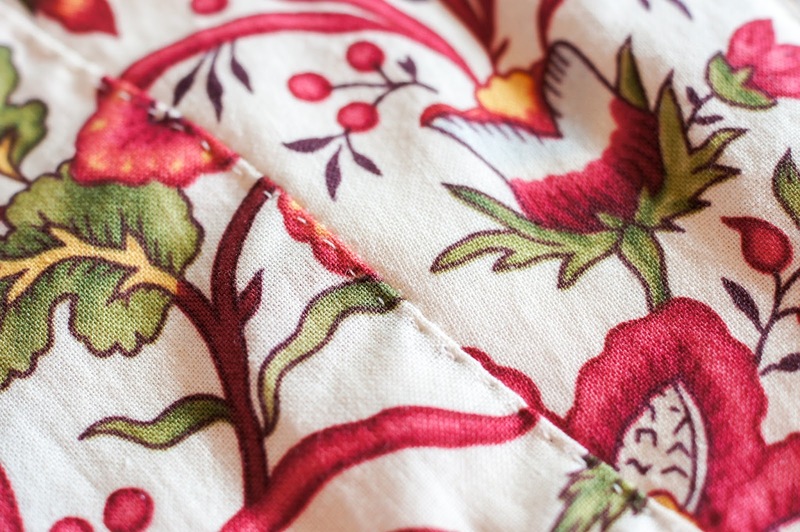 Once the channels were marked I laid my boning channels (I used bias tape) over top and stitched them down by machine. 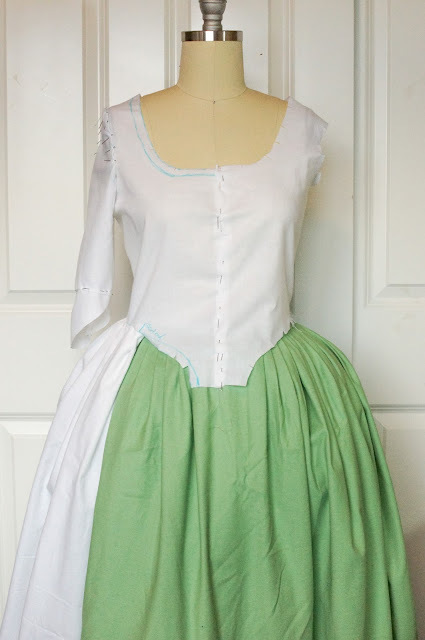 I then proceeded to sew all of the bodice pieces together, using a 1/2" seam allowance, and ironed it all flat. 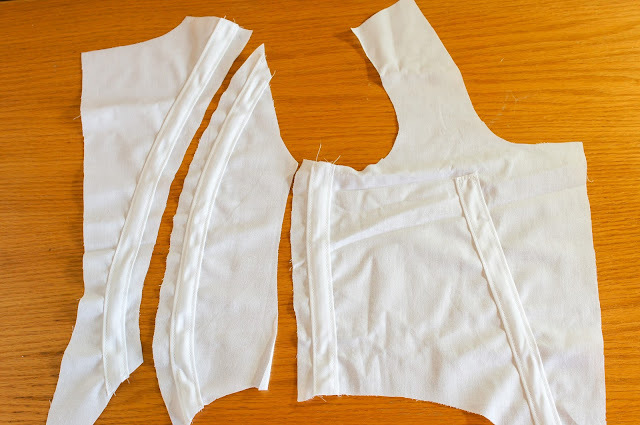 I proceeded to sew the fashion fabric bodice pieces together, again with a 1/2" seam allowance. Once all the seams were sewn, I ironed the bodice. Instead of pressing all of the seams open flat, I ironed them toward one side, towards the front, with the exception of the center back seam. 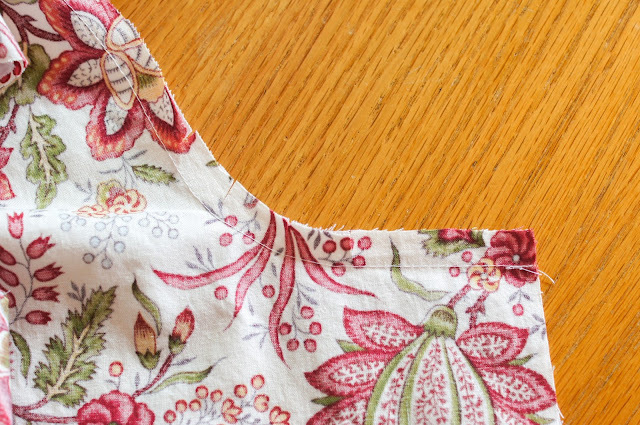 I did this so when I top stitched the seams it would appear to have the bulk that would be there if I had actually sewn it by hand. After that I pinned and stitched the lining to the fashion fabric with right sides together all the way around the neckline. 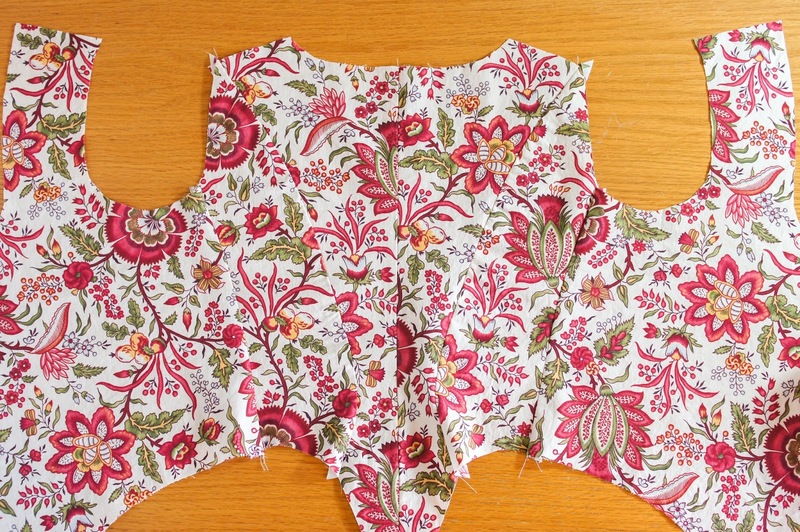 Once it was stitched I clipped all of the curved edges so it would lay flat when turned right side out. 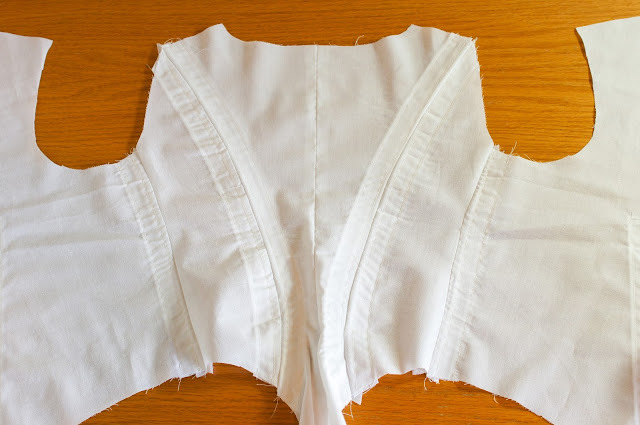 Once I had turned the bodice right side out, I ironed it flat and began my top stitching by hand around the neckline. I did this with a basic running stitch, making sure my stitches were small and had a small amount of tension so it looked like it was actually holding something together. 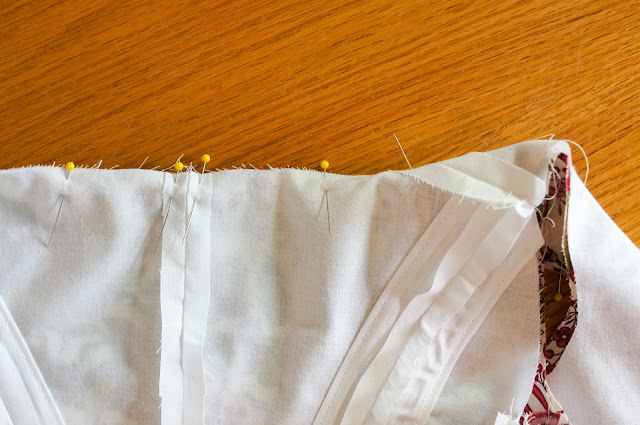 It was also at this time that I top stitched all of the other seams on the bodice as well. 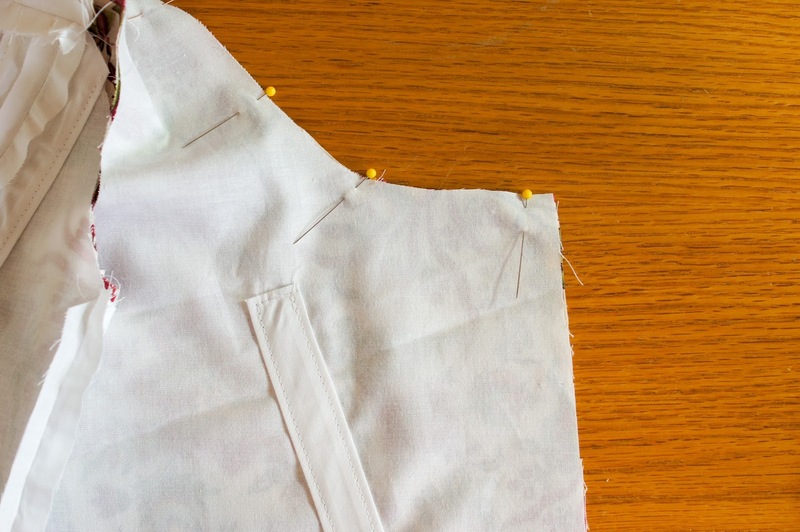 Looking back, this would have been better to do before sewing the lining in so the stitching wouldn't be visible on the lining. At this point I placed my boning into the boding channels. And that's it for this post! 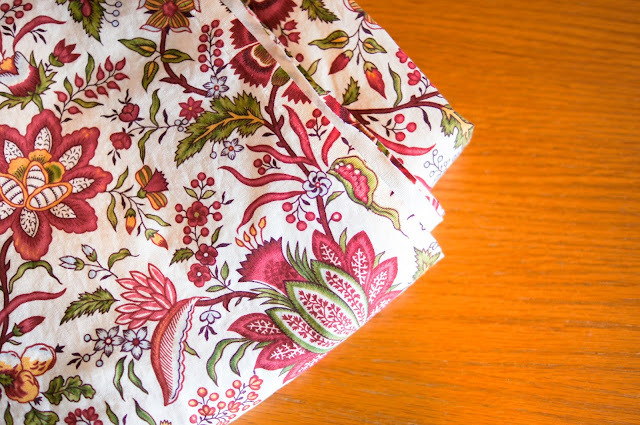 I'll be sharing another post about the rest of the Polonaise soon.